Xiaomi's Pocophone F1 could be what many fans have been waiting for: a high-spec, no-frills smartphone with a particularly attractive value for money. The Pocophone F1 has its appeal, but also drawbacks, especially if you want to use it in the United States. Would you be willing to buy it? Pocophone F1 hands-on: the start of a new era? 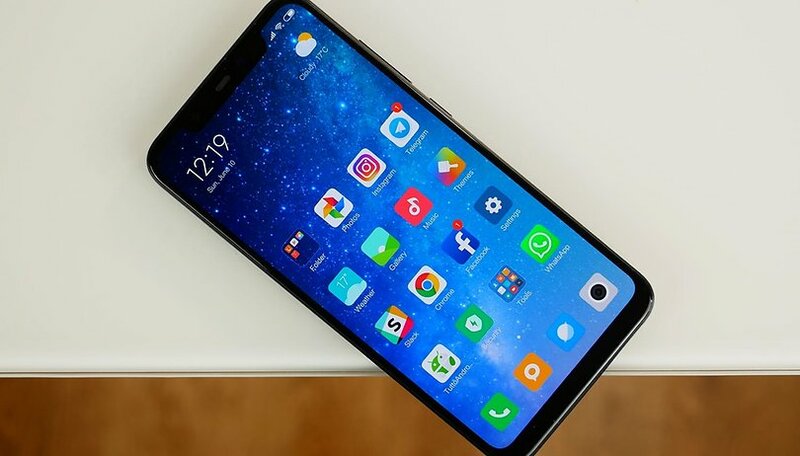 On the one hand, it is a flagship, which is already enough to draw attention to Xiaomi, one of the most fashionable manufacturers, and the fact that the smartphone offers technical features worthy of its rank: Snapdragon 845 processor, 6GB of RAM, stereo sound... as for the battery life, it is equipped with a 4000 mAh battery. All quite promising. For the rest, we have a rather large 6.18-inch screen (with notch) in 18.7:9 format, theoretically suitable for multimedia use. At the photo level, the camera is equipped with a double 12 + 5 megapixel sensor. We get to handle a lot of phones here at AndroidPIT, from the plastic budget bargains to the luxury status symbols slathered in shiny metal and glass. So much so, that it's a risk of losing the perspective of the average buyer. Yes, the Pocophone F1 looks cheap...because it is. And personally, as a power user who places a heavy load on a phone in daily use, I don't mind one bit because the performance at this price point can't be beaten. The elegance of the Pocophone is in its build, not in the design lines. It doesn't have the sleek, premium feel of the Galaxy S9, LG G7 or even the OnePlus 6. If you want to carry a handset that projects a certain amount of prestige, class, or status, the Pocophone just isn't going to cut it. Another thing to consider, especially for our US readers, is that the biggest catch will be cellular band compatibility. This phone is intended for Asian and European markets, so connectivity in the US will be rather limited. No CDMA, which rules out Sprint and Verizon. If you're with AT&T you would get 3G band but LTE will be difficult. The Pocophone F1 has band 1(2100), 3(1800), 5(850), 7(2600), 8(900), 20(800), 38(2600), 40(2300), 41(2500). Band 5 is the only one active in the US, as a supplementary band for AT&T and T-Mobile. If you're worried about compatibility in the US, it's worth asking around to those who have already tried the Pocophone in the land of the free. Thanks to AndroidPIT community member Manuel Zamora, for example, who informs that the device is fully compatible in San Antonio, TX. One tester in Florida also claims to receive LTE on both T-Mobile and AT&T. Of course, if you plan to use the Pocophone in Asia, or in EU countries (including the UK), you should be able to enjoy full connectivity. Would you buy the Pocophone F1? Has the Pocophone tempted you with its impressive price-to-feature ratio? If you have any tips about connectivity in the US, please share them in the comments! As for the luxury/premium feel of the back of the phone, for me it is more ok to buy a phone 1/3 of the price of a luxury/premium feel back glass/metal phone, than buy a phone with a luxury/premium feel back for 1000Eur. and cover it with a plastic cover that looks like stock Pocophone back or worse to protect it, than there are premium feeling/looking glass/metal phone cases available these days if that is a must have, not for me though. Not yet but I certainly will soon. EDITED, Well now I did buy it, the 128gb, two sims on it, both do 4g, and it's awesome. I would get it if it worked with my cell provider, but it doesn't and I'm not switching plans. I'm wondering if the Pocophone is capable of WiFi Calling/Texting? And, if it is, does TracFone work with wifi calling? I'm in an area where I have AT&T, but right where I live I don't have service. Thanks if anyone can help! The way he says Xiaomi makes me cringe. Reviewer: please go to mdbg[dot]net, copy and paste the characters 小米 into the search bar, then click on the speaker icons to hear how it's pronounced. Mine comes tomorrow. In the UK I should be fine in regards to connectivity and service. Really looking forward to giving it a go. Hey, where did you buy it from and for how much? I bought it from Amazon UK for £349. it's really good. Connectivity issues are not a problem for me since I'll only be using it on WiFi. While connectivity is a concern, I would need to see a consistent release of code to the public so community development can flourish. ROMs and easy root are important factors for my phone choices. Connecting issues would bother me. What works, what doesn't. But it's price point is very appealing without a doubt!